The best business credit cards for startups give entrepreneurs easier credit access to build their firms. 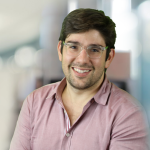 Startups will enjoy low APRs, rewards tailored to growing businesses, and no annual fee—allowing them to keep more money in their companies. We compared dozens of cards to identify the nine best business credit cards for startups. This article was originally published in August 2017. We update the content regularly because the banks, credit unions, and other providers we cover change their product offerings frequently. Our most recent revisions reflect changes to card APRs, introductory rewards, and annual fees. Capital One discontinued its limited time introductory bonus offer in late January 2019 on the Capital One® Spark Cash® for Business card. The offer was worth up to $2,000 in cash, the highest introductory offer on our list. The issuer now offers a sign-up bonus worth $500 in cash. The Capital One® Spark Cash® for Business card is a part of our extended list of the best business credit cards for startups at the end of this article. 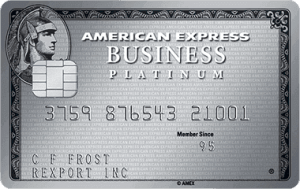 American Express in February 2019 increased the annual fee on the American Express Business Platinum Card® to $595 from $450. This card still offers the best ongoing travel rewards and additional features of any major small business credit card. The issuer also added new benefits in February that could offset the annual fee hike for cardholders who can take advantage. In addition to the extensive travel benefits this card already offers, like free airport lounge access and a $200 annual travel credit, these new perks could be worth hundreds of dollars. You’ll now receive one year of global access to WeWork locations and up to $200 in statement credits each year for Dell purchases. The American Express Business Platinum Card® is a part of our extended list of the best business credit cards for startups at the end of this article. The Federal Reserve raised its benchmark interest rate a quarter percentage point in late December 2018, the fourth increase of that year. We monitor Fed rate changes because they impact the annual percentage rates (APRs) banks charge on small business credit cards. Credit card APRs are based on a set percentage rate over the prime rate. In alignment with the most recent Fed rate hike, APRs increased by a quarter percentage point. In late January 2019, Federal Reserve Chairman Jerome Powell suggested future rate increases may be put on hold unless the national bank sees evidence that inflation is increasing too much. The Fed had earlier predicted it could raise rates twice in 2019, but that now appears in doubt. Increasing the benchmark rate two times would drive credit card APRs up by half a percentage point, and is something we plan to continue monitoring. Business credit cards for startups allow entrepreneurs to rely on their personal credit to open an account—even before they have a tax ID or EIN. Along with a low barrier to entry, the best business credit cards for startups charge no annual fee, offer introductory 0% APR periods of nine months or longer, and offer rewards worth up to 5%. They also help establish business credit. Compare the best credit cards in the Fit Small Business Marketplace. Introductory APR: Whether the card offers startups a period of no-interest financing on purchases or balance transfers. The best cards offer a 0% introductory (intro) period of nine to 15 months. Ongoing APR: How much financing business credit cards for startups costs. The cards on our list offer ongoing APRs as low as 13.49%. Required qualifications: The credit score needed to qualify. Owners with credit scores above 670 should be able to qualify for most cards on our list, although we included one card for owners with fair credit (a credit score of 580 to 669). Introductory rewards: What you’ll earn for reaching minimum spending requirements within several months of card ownership. Cards on this list offer rewards worth as much as $500 after you spend $3,000 within three months of account opening. Ongoing rewards: The points or cash back you’ll earn by using your business card. Cards on our list offer either a flat rate on all spending up to 2%, 2x points, or tiered rewards worth up to 5% cash back on certain bonus categories. Additional benefits: Whether the card comes with free perks that may increase its value, like rental car insurance and extended warranty protection. With its mix of rewards and benefits, the Chase Ink Business CashSM card is our overall best business credit card for startups. Earn 5% cash back on office supply and telecommunications purchases to get your business rolling. The Chase Ink Business CashSM card is our pick for the best business credit card for startups because it offers the top combination of introductory and ongoing rewards along with a lengthy introductory period on purchases and balance transfers. Owners receive 0% intro APR on purchases for 12 months. The ongoing APR is as low as 15.49%. Chase Ink Business CashSM isn’t a card you should get specifically to transfer balances from a high-interest credit card. Chase’s balance transfer fee of 5% is the highest among the cards on our list—which could add hundreds in fees to your transfer. The American Express Blue Business℠ Plus charges 3% on transfers. Chase Ink Business CashSM offers the highest rewards on office supply spending, tied with American Express SimplyCash® Plus, which offers 5% cash back at office supply stores on up to $50,000 in annual spending. It also pays bonus cash back on gas station and restaurant purchases. Introductory rewards are excellent for a card that charges no annual fee. You’ll earn $500 cash back after you spend $3,000 within your first three months. This is the highest introductory bonus on our list from a card that charges no annual fee (tied with Chase Ink Business UnlimitedSM). Auto rental collision damage waiver: Coverage is primary—meaning it replaces any coverage your personal insurance might offer—when renting for business purposes. It provides reimbursement up to the actual cash value of the vehicle for theft and collision damage for most cars in the U.S. and abroad. Purchase protection: Covers your new purchases for 120 days against damage or theft up to $10,000 per claim and $50,000 per account per year. Extended warranty protection: Extends the time period of the U.S. manufacturer’s warranty by an additional year on eligible warranties of three years or less. This is a similar package of benefits to those several other cards on this list offer, although the purchase protection lasts longer than the 90 days offered by the Capital One® Spark® Cash Select for Business. Businesses that have travel expenses won’t benefit with Chase Ink Business CashSM. The best startup credit cards rarely offer bonus categories that cover travel, although the Capital One® Spark® Miles Select for Business pays 1.5x miles on all spending, which can be redeemed against your firm’s startup travel costs. We considered both user reviews and our own editorial review when rating this card. Chase Ink Business Cash℠ reviews are generally very positive. The card gets high marks for its introductory and ongoing rewards. Some reviews suggest the card could add more bonus categories, especially covering travel purchases. We searched the internet to find users’ opinions of this card. Users say they value the business-oriented rewards structure and the lack of an annual fee. Some say the ongoing APR is too high. On the low end of the range, this card’s APR is actually a bit better than average. The high end of the range is also about three percentage points lower than some cards charge. We rate small business credit cards based on their costs, rewards, and benefits. 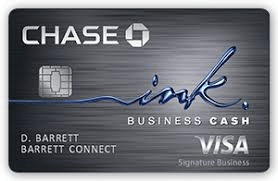 Chase Ink Business Cash℠ is one of the top small business credit cards. It’s set apart from its peers by three features that are among the best available: introductory rewards, ongoing rewards, and a lengthy 0% introductory APR offer. This card could improve by adding travel rewards. Apply for the Chase Ink Business CashSM online by filling out a basic application. Be prepared to provide both business and personal information. You may be approved instantly. If you are, expect to receive your card in the mail within seven to 10 days. The American Express SimplyCash® Plus is best for startups that want to pick which bonus spending category earns top rewards. The card pays 3% on up to $50,000 in annual spending (then 1%) from one of eight categories you pick from. No other card on our list allows cardholders to choose their bonus category. The ongoing APR is as low as 14.49%. Although you will have a credit limit, you may spend past your limit without penalty on this card, which could be helpful for startups that need spending flexibility. No other card on our list offers this benefit. If you need to transfer a balance, consider instead the 12-month 0% APR offer from the American Express Blue Business℠ Plus. SimplyCash® Plus doesn’t allow transfers. The American Express SimplyCash® Plus ongoing rewards are generous, particularly when it comes to office supply spending. You’ll earn the same 5% cash back at U.S. office supply stores with this card as you would with Chase Ink Business CashSM, but the $50,000 spending cap is twice as much as the Chase card allows. The American Express SimplyCash® Plus currently offers no introductory sign-up bonus. You can choose one of eight categories from which you can earn 3% cash back with this card: airfare purchased directly from airlines, hotel rooms purchased directly from hotels, car rentals purchased from select car rental companies, U.S. gas stations, U.S. restaurants, U.S. purchases for advertising in select media, U.S. purchases for shipping, or U.S. computer hardware, software, and cloud computing purchases made directly from select providers. Extended warranty: American Express will match the length of the original manufacturer’s warranty if it’s less than two years. The issuer provides an additional two years if the original manufacturer’s warranty is between two and five years. Coverage is limited to $10,000 per occurrence and $50,000 per account each year. Purchase protection: American Express will repair, replace, or reimburse you for an item purchased with the card that was damaged or stolen within 120 days of purchase. Coverage is limited to $1,000 per occurrence and $50,000 per account each year. Above-limit purchasing: The card allows you to buy above your credit limit and get cash back on those purchases, too—with no overlimit fees. You must pay the amount above your credit limit in full each month on top of your minimum payment due. Baggage insurance: If your luggage is damaged or lost when you travel on a common carrier like a plane, trip, ship, or bus, American Express will reimburse you for losses not covered by your own personal insurance. No other card on our list offers either above-limit purchasing or baggage insurance, the latter of which is typically available on the best business cards for travel rewards, many of which charge an annual fee. 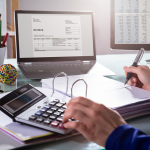 The introductory APR on purchases is decent at nine months, but SimplyCash® Plus does not have an introductory interest-free offer on balance transfers, like the American Express Blue Business℠ Plus (12 months), meaning this isn’t a good choice for businesses looking to consolidate debt from other credit cards. We considered both user reviews and our own editorial review when rating this card. For businesses with more than $25,000 in office supply expenses annually, the American Express SimplyCash® Plus is the go-to card because it has a higher ($50,000) spending cap than the Chase Ink Business CashSM card. It doesn’t offer a sign-up bonus, which is a real turn-off for some. We scoured the internet looking for user reviews of this card. Users love the flexibility to pick their spending category for 3% cash-back rewards. You can choose from eight different spending categories, like advertising expenses and car rentals. In online reviews, we found a number of users who wish this card offered introductory rewards. We rate small business credit cards based on their costs, rewards, and benefits. American Express SimplyCash® Plus offers excellent ongoing rewards tailored for office-based small businesses. For businesses that travel frequently, our review found there are better choices, including the American Express Business Platinum Card®. You can apply for the SimplyCash® Plus Business Credit Card online. If you are approved, it may be done instantly. Cards are shipped to your address within seven to 10 days. The American Express Blue Business℠ Plus offers an outstanding 12-month 0% introductory APR period on purchases and balance transfers. It’s the ideal choice for startups in search of long-term free financing. The ongoing APR of 15.49% to 21.49% is the lowest on our list, which means Blue Business℠ Plus also is a great card for the long term as your startup matures. 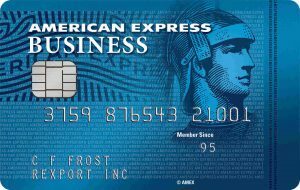 The American Express Blue Business℠ Plus offers a long 0% introductory APR on purchases and balance transfers (12 months). You’ll have to pay 3% of the cost of the transfer, or $450 on a $15,000 transfer. That’s still cheaper than a transfer with the Chase Ink Business CashSM. It charges 5%, or $750 on a $15,000 transfer. Cardholders will earn 2x Membership Rewards points on all spending, which means there are no bonus categories to track. There are also no opportunities to earn higher returns on category spending, like the 5% the American Express SimplyCash® Plus pays on spending at office supply stores. Blue Business℠ Plus offers no sign-up bonus or other introductory rewards. It’s one of three cards on our list that has no introductory rewards, including Citi Double Cash, and this drawback is one reason why this card doesn’t top our list. You’ll earn 2x points on all purchases up to $50,000 each year, then 1x points on all additional purchases. The return on ongoing rewards is the best among the fixed-rate rewards cards on our list, like the Capital One® Spark® Cash Select for Business, which pays 1.5% cash back on all spending. Membership Rewards points can be redeemed for airfare or other paid travel through American Express Travel, gift cards, or statement credits against eligible charges. This card also is the only one to allow points transfers to airline and hotel partners for a potentially higher redemption rate. Extended warranty: American Express will match the length of the original manufacturer’s warranty if it’s less than two years. American Express provides an additional two years if the original manufacturer’s warranty is between two and five years. Coverage is limited to $10,000 per occurrence and $50,000 per account each year. Purchase protection: The issuer will repair, replace, or reimburse you for an item purchased with the card that was damaged or stolen within 120 days of purchase. Coverage is limited to $1,000 per occurrence and $50,000 per account each year. These benefits are fairly standard, although the length of coverage on purchase protection is more than the 90 days the Capital One® Spark® Miles Select for Business offers. American Express Blue Business℠ Plus doesn’t offer introductory rewards, while other cards on our list offer fairly large sign-up bonuses for a card that doesn’t charge an annual fee. The Chase Ink Business CashSM, for instance, offers a $500 cash bonus when you spend $3,000 in the first three months of account opening. You’ll also earn fixed-rate ongoing rewards, which may be bad for businesses that spend heavily in certain categories—like airfare or gas—where other cards offer enhanced rewards. SimplyCash® Plus, for example, offers cardholders the opportunity to earn 3% cash back on either airfare purchased directly from airlines or U.S. gas station purchases. We considered both user reviews and our own editorial review when rating this card. Business owners laud the American Express Blue Business Plus℠ for helping to grow their firms. Both the card’s points-based rewards system and its lengthy 0% introductory offer draw praise. Users say they value the 2x points you’ll earn in ongoing rewards and the issuer’s excellent customer service. Some users say they were disappointed this card doesn’t offer a sign-up bonus. We rate small business credit cards based on their costs, rewards, and benefits. The American Express Blue Business℠ Plus is one of the best business credit cards for owners who want or need a break on financing. It offers 0% introductory APR for 12 months. That’s the longest introductory period available on a small business credit card. This card isn’t as valuable as some others that offer bonus category rewards of up to 5%. 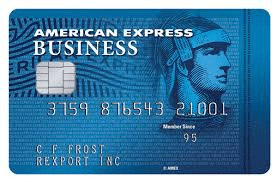 Apply for the American Express Blue Business℠ Plus credit card directly on the issuer’s website. If approved, the 12-month introductory APR period starts as soon as you receive your 0% business credit card. Chase Ink Business UnlimitedSM is a solid pick for startups that want to earn fixed-rate rewards and a solid sign-up bonus. It pays 1.5% cash back on all spending and $500 cash back after you spend $3,000 in the first three months. That’s $300 more than you’d earn with the Capital One® Spark® Cash Select for Business, which also pays 1.5% back. Ongoing APR is as low as 15.49%. The balance transfer fee is higher than the 3% charged by the American Express Blue Business℠ Plus card, and it will reduce the savings you receive when you transfer a balance from a high-interest card. The length of the introductory APR is longer than the nine months offered by the Capital One® Spark® Cash Select for Business, which only offers 0% APR on purchases. Along with fixed-rate ongoing rewards, this card also comes with a great introductory bonus—the highest among cards on our list and equal to what the Chase Ink Business CashSM offers. You’ll earn $500 cash back when you spend $3,000 in the first three months. You’ll earn unlimited 1.5% cash back on all purchases, regardless of spending category. That’s the best fixed-rate return from a credit card that charges no annual fee on our list, tied with the Capital One® Spark® Cash Select for Business. Auto rental collision damage waiver: Coverage is primary — meaning it replaces any coverage your personal insurance might offer—when renting for business purposes. It provides reimbursement up to the actual cash value of the vehicle for theft and collision damage for most cars in the U.S. and abroad. Note that the purchase protection benefit lasts longer than the 90 days offered by the Capital One® Spark® Cash Select for Business. The rental insurance and extended warranty protection are similar to what other Chase business cards on our list offer, including the Chase Ink Business CashSM. Chase Ink Business UnlimitedSM offers great fixed-rate cash-back rewards on all spending, but the reward rate is lower than some other cards—especially in certain spending categories—like the Chase Ink Business CashSM card, which pays 5% cash back on the first $25,000 spent in combined purchases at office supply stores and on telecommunications services. We considered both user reviews and our own editorial review when rating this card. Chase Ink Business UnlimitedSM reviews are very good, although not as positive as reviews for the other Chase cards on this list. Because it offers 1.5% cash back on all purchases, this isn’t seen as a top-of-wallet card for business owners serious about maximizing rewards. We scoured the internet for user reviews of this card. Customers like the 12-month introductory APR as well as the strong introductory rewards, but say the ongoing rewards aren’t competitive with other cards that offer fixed-rate rewards. Indeed, the American Express Blue BusinessSM Plus earns 2x points on all spending up to $50,000 annually. We rate small business credit cards based on their costs, rewards, and benefits. 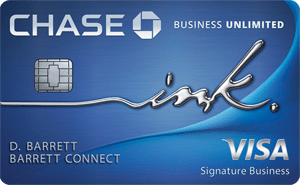 Chase Ink Business UnlimitedSM fills in the rewards gaps the Chase Ink Business CashSM and the Chase Ink Business PreferredSM have, making it a perfect second or third card. When your purchases don’t fall into one of the bonus categories offered by those other cards, use Chase Ink Business UnlimitedSM. You can apply for the Chase Ink Business UnlimitedSM business card directly through Chase’s website. Once you apply, you can get an approval decision in just a few minutes. You should receive your card within seven to 10 days. Capital One® Spark® Cash Select for Business is another on our list of startup credit cards to offer 1.5% cash back on all spending. It’s a fine pick, but not quite as good at the Ink Business UnlimitedSM, which offers a higher sign-up bonus ($500 versus $200) and a better 0% intro offer (12 months versus nine months). The ongoing APR is as low as 15.24%. The introductory 0% APR period is shorter on this card than on others on our list, like the American Express Blue Business℠ Plus (12 months). It also doesn’t offer an intro APR on balance transfers, although you’ll pay no transfer fee, something other cards don’t offer. The real appeal of the Capital One® Spark® Cash Select for Business is for business owners who want a fixed-rate return and don’t want to pay an annual fee. But that fee aversion is only worth it if you spend $19,000 or less a year. Earn a $200 cash bonus when you spend $3,000 within the first three months from account opening. That’s a smaller return than the $500 the Chase Ink Business UnlimitedSM pays on the same amount of spending. Earn 1.5% cash back on all spending with no limits. That’s the same return you’ll see on the Chase Ink Business UnlimitedSM. Purchase protection: Covers your new purchases for 90 days against damage or theft up to $10,000 per claim and $50,000 per account per year. Extended warranty protection: Extends the time period of the U.S. manufacturer’s warranty by up to one year on eligible warranties of three years or less. Notice that the length of purchase protection coverage is shorter at 90 days with Capital One than it is with other cards, like the Chase Ink Business CashSM, which offers purchase protection for up to 120 days. The extended warranty benefit is also less than the two years additional protection the American Express SimplyCash® Plus card offers. The biggest drawback of the Capital One® Spark® Cash Select for Business card is that there are no interest-free balance transfers. If you have a balance on another card that’s accruing interest, you’ll be better off choosing a card like the American Express Blue Business℠ Plus, which offers 0% APR for 12 months on balance transfers. We considered both user reviews and our own editorial review when rating this card. Users generally like the 1.5% cash-back rewards on all purchases, but some bigger spenders may be better off finding a card that offers a higher return. We scoured the internet for user reviews of this card. Users love the introductory interest-free period as well as the simple rewards program structure. Cardholders unhappy with the card are disappointed that Capital One reports account activity to consumer credit bureaus, which not all business card issuers do. We rate small business credit cards based on their costs, rewards, and benefits. For businesses that put less than $19,000 in charges per year on their card, Capital One® Spark® Cash Select for Business is a fine choice. But you’ll be losing out on rewards if your company has a higher credit card spending budget. You’ll be better off with the Capital One® Spark® Cash for Business, which pays 2% cash back on all spending and comes with a $95 annual fee, waived the first year. You can apply for the Capital One® Spark® Cash Select for Business card directly through the Capital One website. This cash-back card is one of the easier to apply and qualify for. Visit Capital One for more information on how to apply. Capital One® Spark® Miles Select for Business is the only credit card on our list that offers miles as a reward. It pays 1.5x miles on all spending. It’s best for businesses that spend no more than $19,000 a year on their small business credit cards for new businesses. That’s the threshold at which you’ll benefit more with the Capital One® Spark® Miles for Business, which pays 2x points, but charges a $95 annual fee, waived the first year. The ongoing APR is as low as 15.24%. This card is identical in all ways to the Capital One® Spark® Cash Select for Business, except with regard to how rewards are handed out—miles versus cash back. Like Spark Cash Select for Business, the introductory 0% APR period is shorter on this card than on others on our list, like the Chase Ink Business CashSM (12 months). The Capital One® Spark® Miles Select for Business offers a small introductory bonus when compared with other cards and ongoing fixed-rate rewards. It also offers fixed-rate rewards of 1.5x miles on all spending. You’ll earn 20,000 miles worth $200 cash when you spend $3,000 within the first three months from account opening. This is lower than the $500 you’ll earn with the Chase Ink Business CashSM, which requires the same $3,000 in spending. You’ll earn 1.5x miles on all spending with no limits. This is just one of two startup credit cards on our list (American Express Blue Business℠ Plus) that allows startups to redeem rewards directly for flights. Business owners can use rewards to book new airfare or cancel out the cost of flights booked within 90 days using the card through its Purchase Eraser feature. Capital One® Spark® Miles Select for Business offers a shorter 0% APR intro period on purchases than most other cards on this list, including the Chase Ink Business UnlimitedSM (12 months). It also offers no interest-free period on balance transfers, like the 12 months you’d receive with the American Express Blue Business℠ Plus card. We considered both user reviews and our own editorial review when rating this card. Users generally like the 1.5x miles they earn on all purchases, but some bigger spenders may be better off finding a card that offers a higher return. Users appreciate the simple rewards program structure and the ability to use miles to pay for airfare. Cardholders unhappy with the card are disappointed that Capital One reports the primary cardholder’s account activity to consumer credit bureaus, which not all business card issuers do. We rate small business credit cards based on their costs, rewards, and benefits. 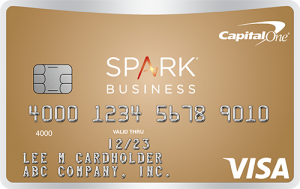 For businesses that put less than $19,000 in charges per year on their card, Capital One® Spark® Miles Select for Business offers a good return on value. But you’ll be losing out on rewards if your company has a higher credit card spending budget. You’ll be better off with the Capital One® Spark® Miles for Business, which pays 2x miles on all spending and comes with a $95 annual fee, waived the first year. 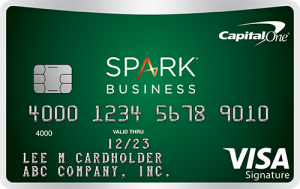 You can apply for the Capital One® Spark® Miles Select for Business card directly through the Capital One website. This cash-back card is one of the easier to apply and qualify for. Visit Capital One for more information on how to apply. The Bank of America® Business Advantage Cash Rewards Mastercard® is best for startups looking for a cash-back introductory bonus with low spending requirements. You’ll earn $300 when you spend just $3000 within 90 days. Compare that with the Chase Ink Business CashSM, which pays $500 cash back after you spend $3,000. The ongoing APR is as low as 14.49%. Bank of America offers no introductory 0% APR offer on balance transfers, and the length of the intro APR on purchases is quite short compared with other cards on this list, like the 12 months of 0% APR offered by the American Express Blue Business℠ Plus on purchases and balance transfers. But the possible 14.49% APR you could receive is one of the lowest on our list. Bank of America offers a $300 introductory bonus with a low spending threshold. You’ll also earn ongoing rewards on gas station, office supply, and restaurant spending. Bank of America customers who also have cash on deposit with the bank can increase the value of their ongoing rewards. You’ll earn a $300 statement credit when you make at least $3000 in net purchases within 90 days of your account opening. No other card on our list has a lower spending requirement to earn introductory rewards. If you’re enrolled in Business Advantage Relationship Rewards, you could earn up to 5.25% at the category of your choice, 3.5% at restaurants, and 1.75% on all other purchases. To earn the maximum rewards bonus, you have to have more than $100,000 on deposit with the bank. No other card on our list offers a relationship bonus. Rewards on gas spending are higher than any other card on our list. This card doesn’t come with the same level of benefits you’ll find on other cards on our list. You will receive up to $100,000 in travel accident insurance, which covers you in case of loss of life or dismemberment. It is the only card on our list to offer this protection. You’ll find a better rewards rate on office supply spending with other business cards, like the American Express SimplyCash® Plus (5%). The introductory bonus is the lowest among the cards on our list that offer a welcome bonus. We considered both user reviews and our own editorial review when rating this card. Bank of America® Business Advantage Cash Rewards Mastercard reviews are positive, but not fawning. It’s a solid, if unspectacular, pick because of its cash rewards and the rewards boost existing Bank of America customers can earn. We searched the internet for user reviews for the Bank of America® Business Advantage Cash Rewards Mastercard®. Many customers like the introductory 0% APR, the lack of an annual fee, and the ability to earn up to 3% ongoing cash rewards. However, some complain that the introductory rewards aren’t as high as other cards offer. We rate small business credit cards based on their costs, rewards, and benefits. Our review of the Bank of America® Business Advantage Cash Rewards Mastercard® is generally favorable, both for its rewards structure and its lack of an annual fee. This isn’t a card that’s going to shower you with ongoing rewards, but it’s a perfect first small business card. The introductory rewards are a bit meager compared with other small business credit cards. You can apply for the Bank of America® Business Advantage Cash Rewards Mastercard® online, and you may receive instant approval. Cards are shipped to your address within seven to 10 days. The Capital One® Spark® Classic for Business is best for startup owners with a credit score between 580 and 659 who still want an unsecured cash-back credit card. You’ll earn 1% cash back on all purchases (the lowest ongoing rewards rate on our list), and pay 25.24% APR on balances (the highest rate among cards on our list). While this card charges no balance transfer fee, you’ll pay a 25.24% APR on the transferred balance. That’s the highest APR on balance transfers among the cards on our list. If you need to transfer a balance and your credit is better than 659, consider applying for the American Express Blue Business℠ Plus. This is one of three cards on our list that offers no introductory rewards, including the American Express Blue Business℠ Plus and the Citi Double Cash card. It also offers the lowest ongoing rewards at 1%. Capital One® Spark® Classic for Business does not offer introductory rewards. You may not be able to find a credit card designed for business owners with fair personal credit that offers introductory rewards. You’ll earn 1% cash back on all purchases with no cap. That’s the lowest ongoing rewards return of any card on our list. The return, however, is average or better for a business credit card designed for owners with fair personal credit. Capital One® Spark® Classic for Business offers a number of protections against lost or damaged items you purchase with the card. Many, but not all, of the cards on this list offer similar protections. Purchase protection: Capital One will replace, repair, or reimburse you for eligible items in the event of theft or damage within the first 90 days of purchase. Extended warranty protection: You’ll get additional warranty protection on eligible items that are purchased with your business card, up to one year past the manufacturer’s warranty. Auto rental collision damage waiver: You’re covered for damage due to collision or theft when you rent an eligible car with your Capital One® Spark® Classic for Business card. As with other Capital One business cards, the purchase protection is shorter than the 120 days offered on other cards like the Chase Ink Business CashSM. The extended warranty protection is also shorter than the two years offered by the American Express SimplyCash® Plus card. Several other cards, including Chase Ink Business CashSM, offer car rental insurance. Capital One® Spark® Classic for Business is designed for cardholders with fair credit, so the 25.24% APR is understandably high compared with cards designed for owners with better credit. The Bank of America® Business Advantage Cash Rewards Mastercard®, for example, charges a variable APR of 14.49% to 24.49%. We considered both user reviews and our own editorial review when rating this card. Capital One® Spark® Classic for Business reviews are largely favorable, but both user and editorial reviews recognize this card’s main purpose is to give business owners with fair credit access to financing. That means it lacks some of the features that other credit cards have. We scoured the internet for user reviews of this card. Most users in online reviews indicated that they are largely satisfied with their Capital One® Spark® Classic for Business card, with cardholders noting the best feature is the cash-back rewards. Some users complain about the lack of perks and low credit limits. We rate small business credit cards based on their costs, rewards, and benefits. Our review recognizes that the Capital One® Spark® Classic for Business isn’t a card most small business owners should want to rely on forever. Used responsibly, this card should become obsolete as owners’ credit scores improve. But for what it is, it’s a decent card that offers ongoing rewards, albeit at a reduced rate. You can apply for the Capital One® Spark® Classic for Business online. The application takes minutes and you can get approved instantly. Once approved, the card typically takes seven to 10 business days to arrive. The Citi Double Cash card is best for startups that aren’t yet up and running and may not qualify for a small business credit card. It offers 2% cash back on all spending, which ties the American Express Blue Business℠ Plus card among fixed-rate cards, and 18 months no-interest on balance transfers, the highest on our list. The ongoing APR is as low as 15.74%. The intro APR on balance transfers is six months longer than what Blue Business℠ Plus offers, but there is no similar no-interest break on purchases. The balance transfer fee is lower than the 5% charged by the Chase Ink Business CashSM card. Citi Double Cash is one of three startup business credit cards that offers no introductory rewards. That means you’ll miss out on up to $500 cash back offered by cards on our list like the Chase Ink Business UnlimitedSM. You might be better off in the long run, however, because the Citi Double Cash pays 2% on all spending versus the 1.5% offered by Ink Business Unlimited. Citi Double Cash does not offer introductory rewards, which is rare for a personal credit card that offers ongoing rewards. If introductory rewards are important to you, consider another card that pays 2% cash back on all spending, the Capital One® Spark® Cash for Business. Unlike the Citi Double Cash, the Capital One card charges an annual fee, which is waived the first year. You’ll earn 1% cash back on all purchases and an additional 1% as you pay for those purchases. This card isn’t a straight 2% card. You’ll receive credit for the second 1% of your rewards only after you pay your bill. Pay your bill in full and on time to receive the full 2% without paying any interest charges. Citi Double Cash offers a common benefit—extended warranty protection—and some unique benefits other cards on our list don’t offer, including price protection and a one-time late fee waiver. Price Rewind: Citi’s price protection benefit will refund the difference up to $200 per item (up to $1,000 per year) if something you purchased goes on sale within 60 days of purchase. You’ll have to alert Citi to start tracking the price for you after purchase. Waived late fee: Your first late payment is free; up to $35 after that. Extended warranty protection: Receive two additional years on the manufacturer’s warranty, not to exceed seven years from the purchase date. Coverage is limited to $10,000 per occurrence. The extended warranty protection is slightly better than the excellent coverage the American Express SimplyCash® Business offers. That card will match the length of the original manufacturer’s warranty if it’s less than two years and provide an additional two years only if the original manufacturer’s warranty is between two and five years. Since Citi Double Cash is a consumer credit card, Citi will report your payment behavior only to the consumer credit bureaus. This means you cannot establish or build your business credit by using this card. All of the other cards on our list report to business credit bureaus. We considered both user reviews and our own editorial review when rating this card. This card receives high marks for its fixed-rate return on all spending. The card is missing introductory rewards, which decreases the Citi Double Cash’s overall appeal. We scoured the internet for user reviews of this card. Citi Double Cash earns mostly positive online reviews from cardholders who appreciate the 2% cash back on all spending—a high rate for a card that charges no annual fee—and that the first late fee is forgiven. Negative reviews tend to focus on card users having trouble with customer service. We rate small business credit cards based on their costs, rewards, and benefits. Citi Double Cash is a personal credit card that offers one of the best rewards returns available. This card may be best for consumers and business owners who don’t want to manage category spending in order to earn bonus rewards. Other cards that charge no annual fee manage to offer at least some sign-up bonus. Citi Double Cash does not, and that’s disappointing. Apply for Citi Double Cash online. You may be approved instantly. Your card should arrive via mail service within seven to 10 business days after approval. The best business credit cards for startups allow you to keep more money for your growing business. They charge no annual fees and offer lower APRs and advantageous rewards for early-stage businesses. What’s more, startup credit cards offer new firms easy ways to qualify and begin building business credit. Compare the best business credit cards for startups in the Fit Small Business Marketplace. With its 12-month, 0% introductory APR on purchases and balance transfers and its $500 introductory cash back offer, we find Chase Ink Business CashSM card is our preferred business startup credit card. Along with the introductory bonus, this card offers ongoing cash-back rewards of up to 5% and an ongoing APR as low as 15.49%.